Basic plot from Amazon: Sixteen-Year-Old Celestia spends every summer with her family at the elite resort at Lake Conemaugh, a shimmering Allegheny Mountain reservoir held in place by an earthen dam. Tired of the society crowd, Celestia prefers to swim and fish with Peter, the hotel’s hired boy. It’s a friendship she must keep secret, and when companionship turns to romance, it’s a love that could get Celestia disowned. These affairs of the heart become all the more wrenching on a single, tragic day in May, 1889. After days of heavy rain, the dam fails, unleashing 20 million tons of water onto Johnstown, Pennsylvania, in the valley below. The town where Peter lives with his father. The town where Celestia has just arrived to join him. This searing novel in poems explores a cross-class romance—and a tragic event in U. S. history. 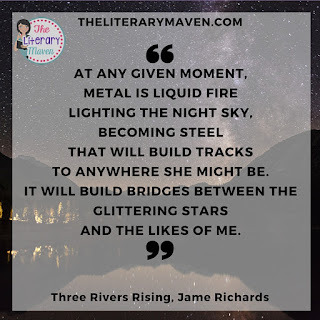 Why I liked it: Three Rivers Rising is written in verse form, not my usual read, but I was surprised at how easily the narrative flowed, moving fluidly between the different perspectives in the novel. The central character in the novel, Celestia, and her sister, Estrella, have both fallen in love with the "wrong" men, in Celestia's case it is because he is "the help," but in Estrella's case it is because he is a rake, likely to cause her ruin. 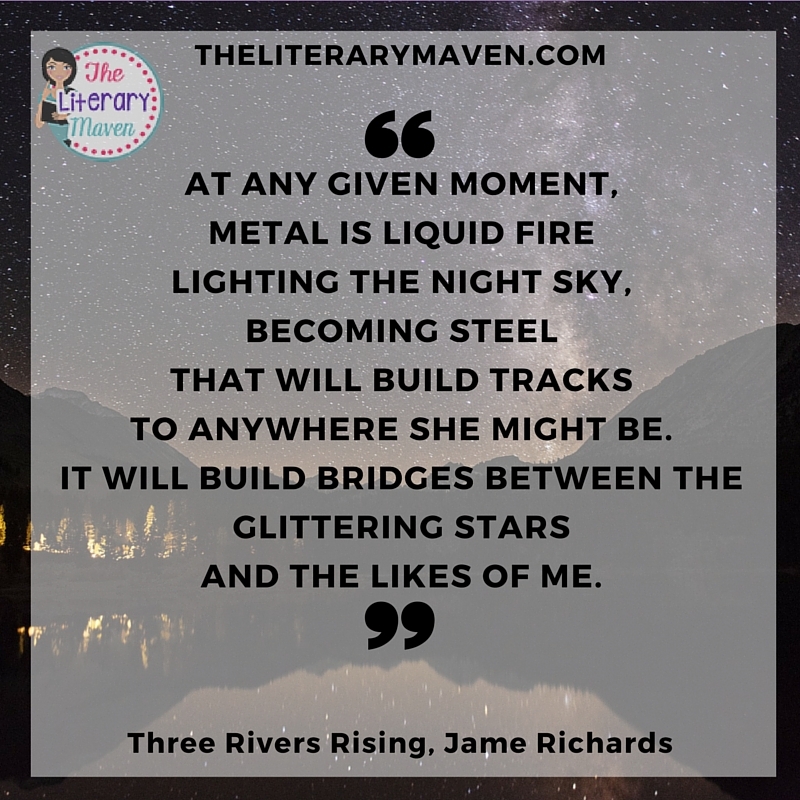 Other voices in the novel include Peter, Celestia's love interest, Kate, a young "old maid" training to be a nurse, and Maura, a young mother whose husband works on the rail road. All of the characters' fates become intertwined when the South Fork Dam fails and disaster strikes. Despite its poetic form, the novel is based on the real events of the Johnstown Flood in 1889 and even includes an appearance from Clara Barton, the nurse who founded the Red Cross. 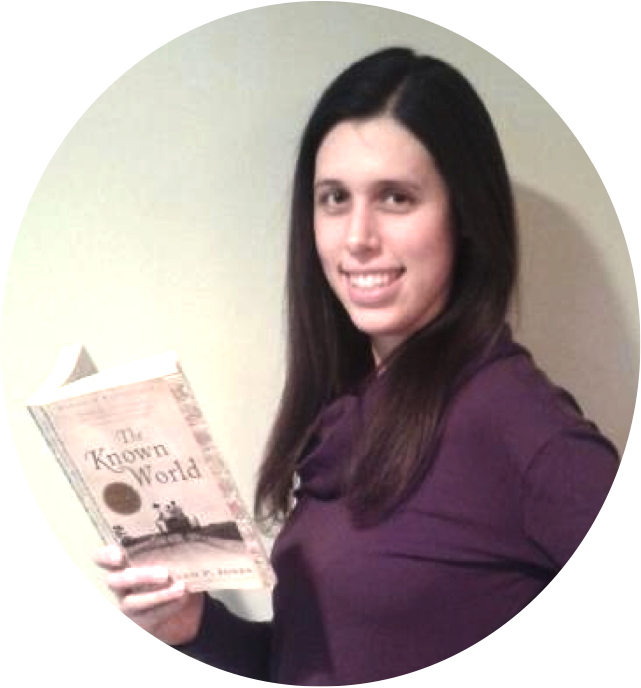 Classroom application: Since the novel is centered around a historical event, it would be easy to incorporate nonfiction connections. Primary sources like survivor testimony and photographs would help bring the story to life. The Johnstown Flood was the first non-combat relief effort of the Red Cross, so students could research the history and evolution of the organization. Students could also examine the expectations for women during the late 1800s/early 1900s and compare that to modern standards. Natural disasters are another fascinating research topic for students. Particularly relevant would be Hurricane Katrina and the failure of the levee system in New Orleans. Students could research survivors of that disaster and write poetry from their perspectives. Spike Lee's documentary, When the Levees Broke would be an excellent starting point. 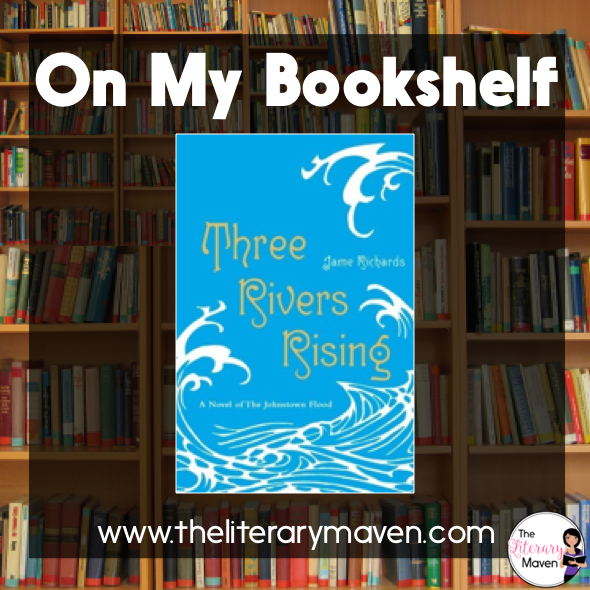 If you are interested in purchasing a copy of Three Rivers Rising for yourself, you can find it on Amazon here.